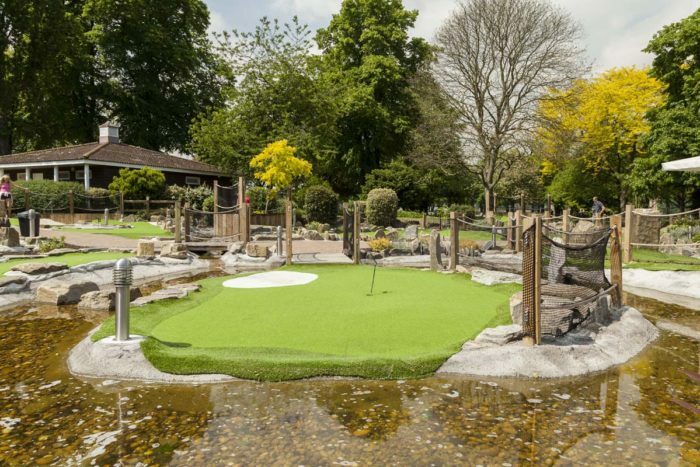 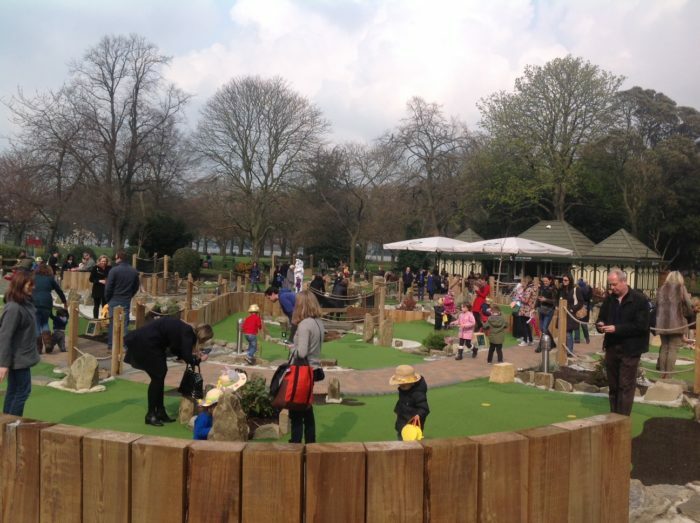 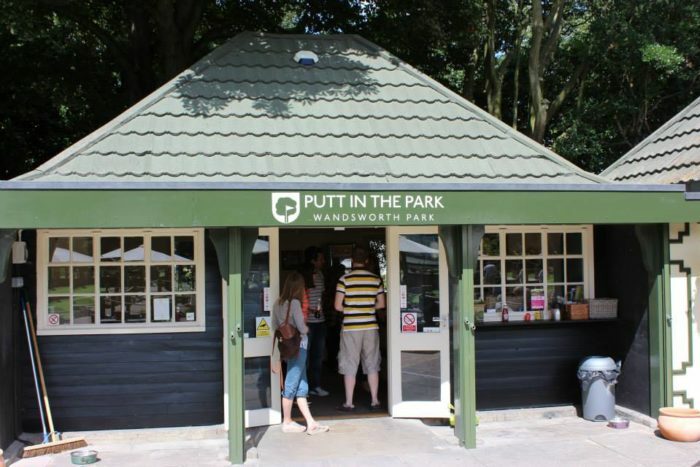 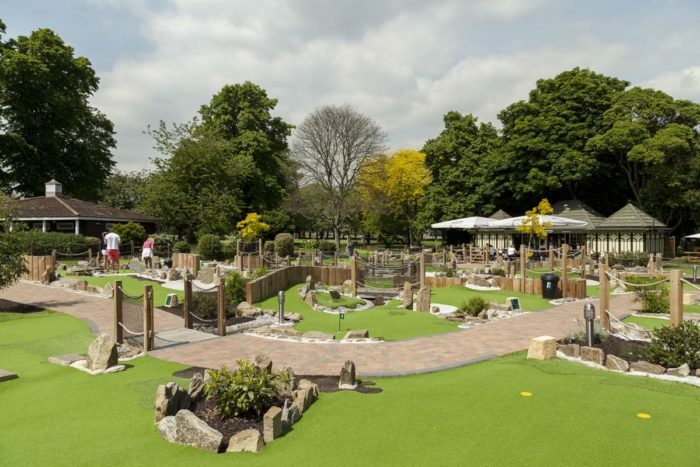 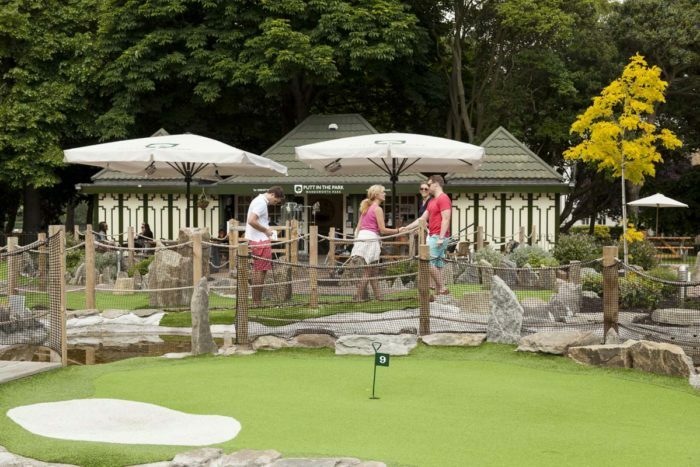 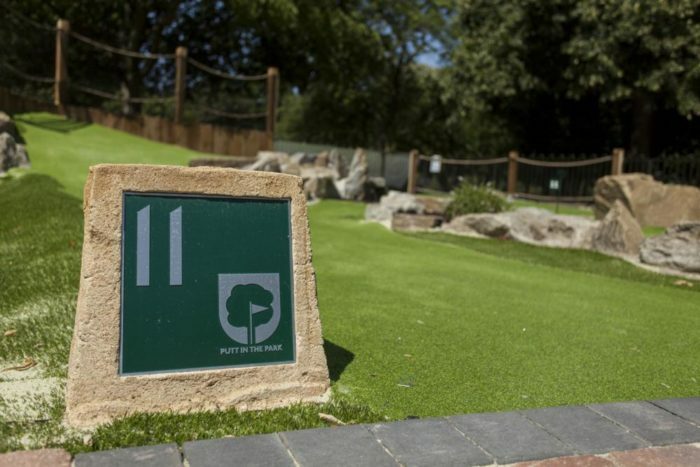 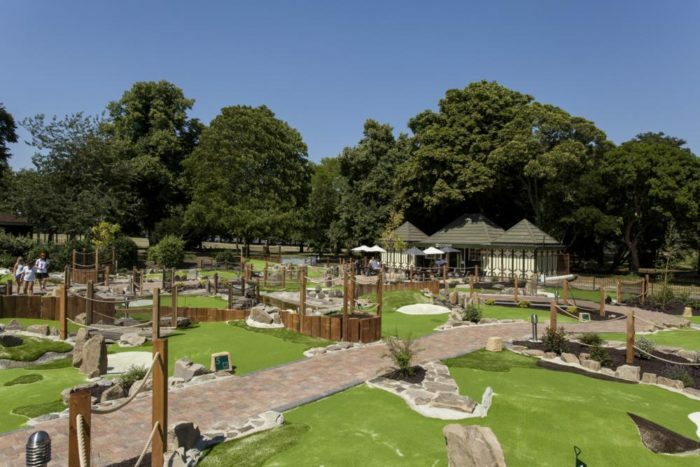 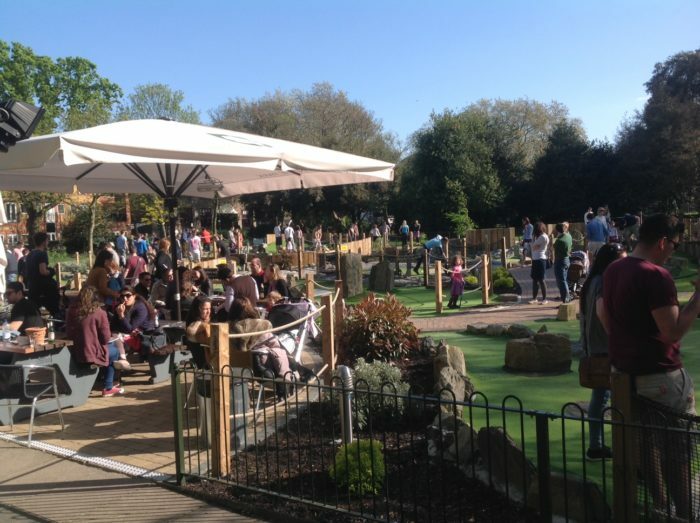 Putt in the Park’s original café and 12-hole golf course is nestled under the trees in the heart of beautiful Wandsworth Park. 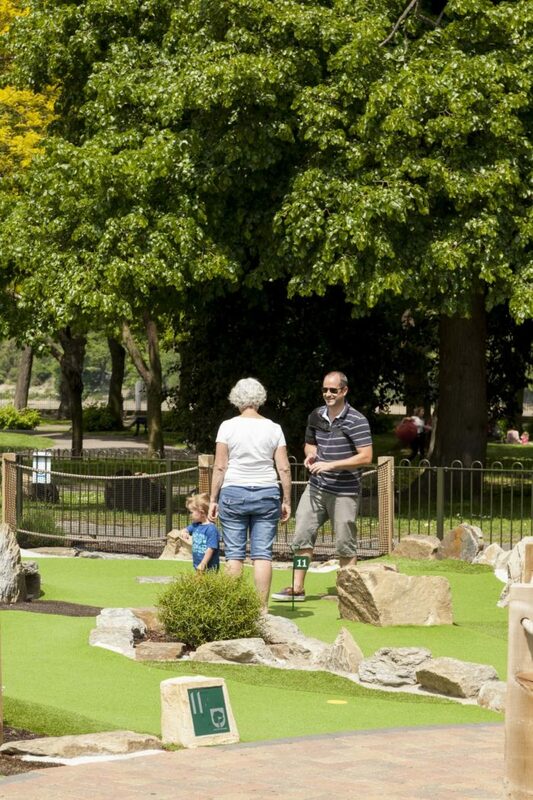 Whether you are a seasoned golfer, or looking for a day out with the kids in the park, this is the place for you. 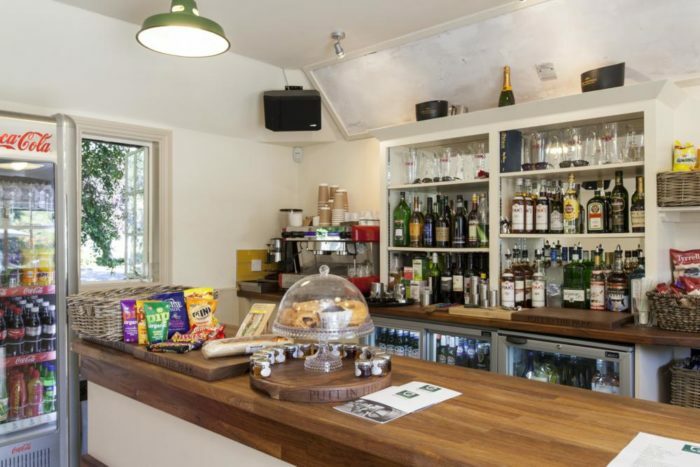 Come in for our mouth-watering toasties and cocktails and bask in the sunshine. 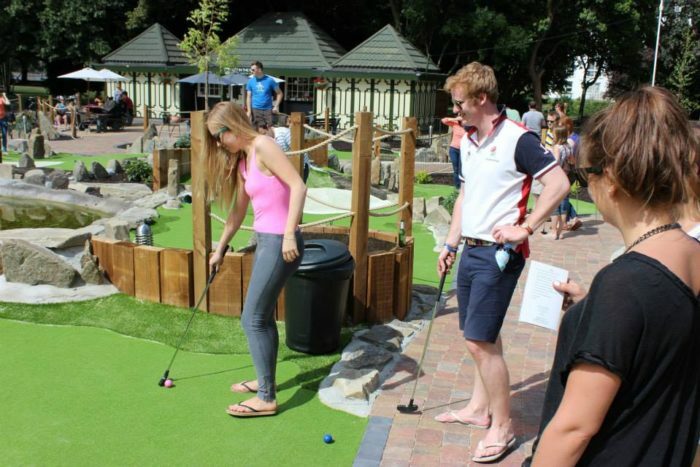 There is no need to book, and we welcome all ages and anyone looking to have fun. 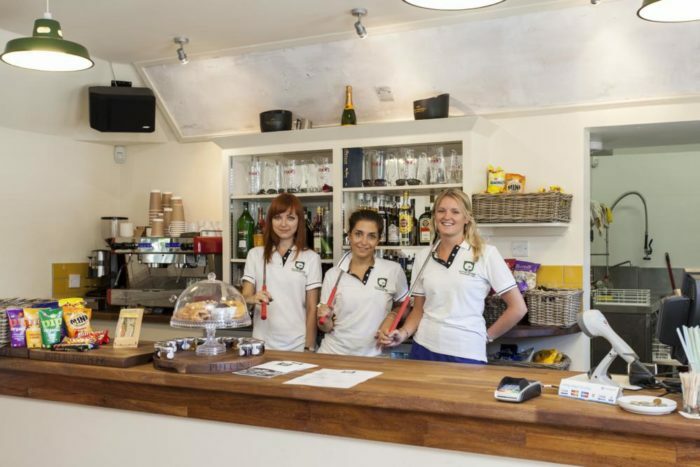 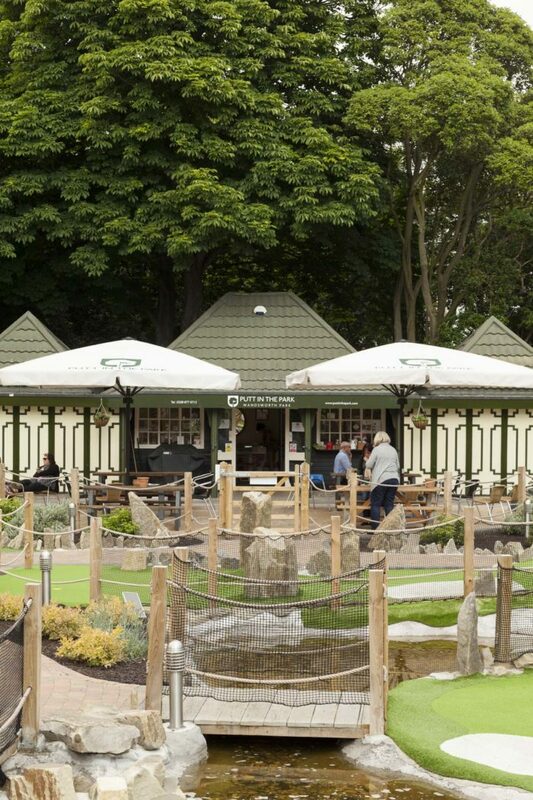 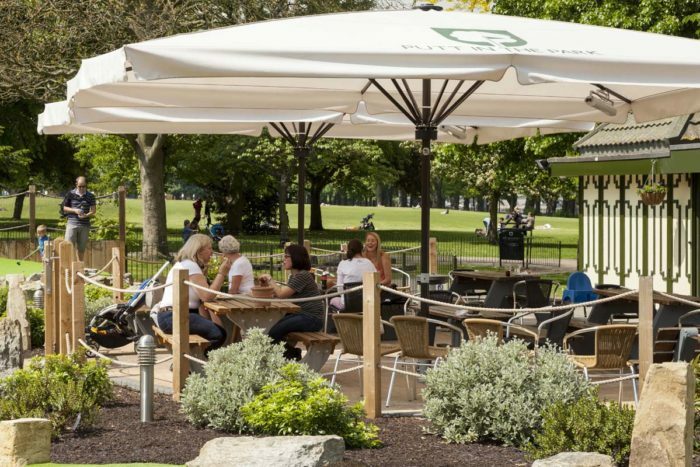 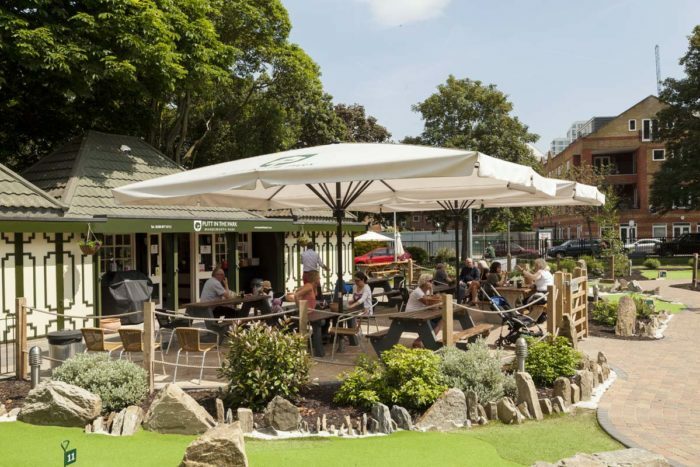 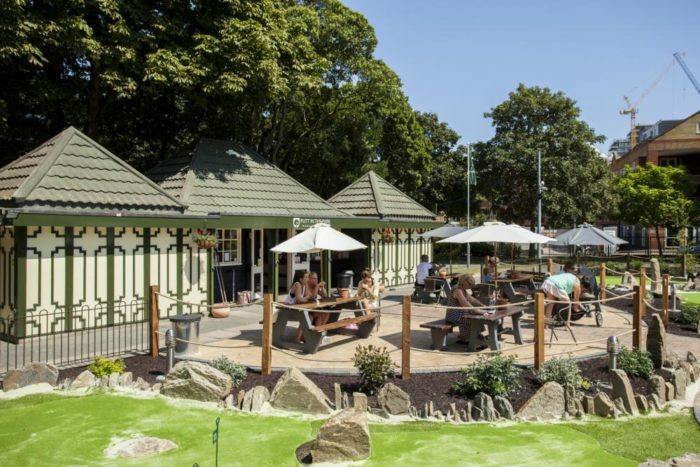 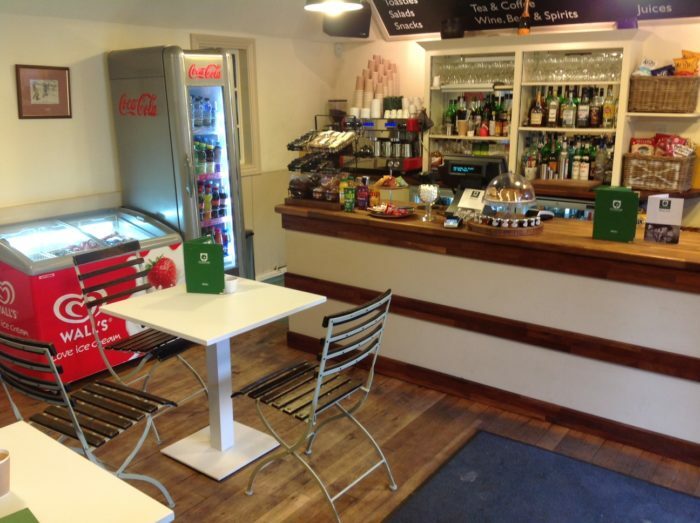 We’re not just about the golf here at Putt in the Park – The Clubhouse located in one of London’s most historic parks is a fully licensed cafe serving a range of delicious hot and cold meals, tasty snacks, coffee and juices. 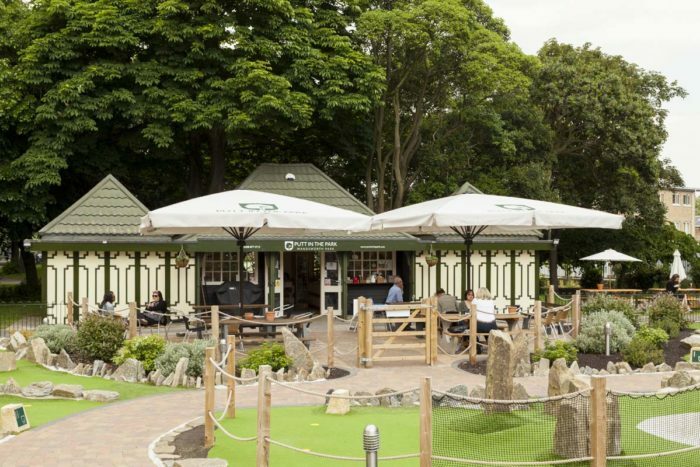 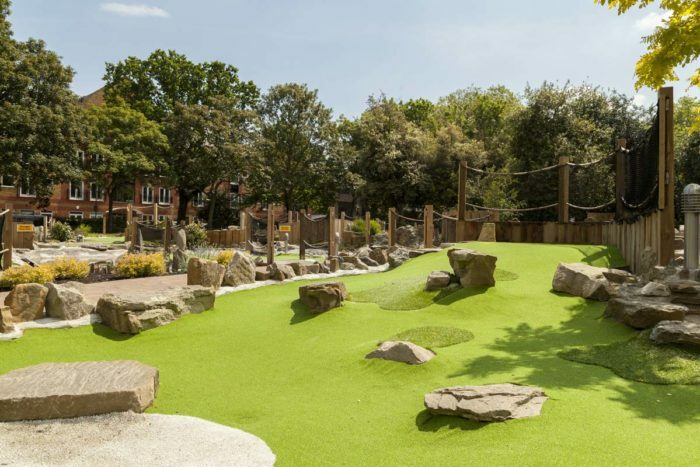 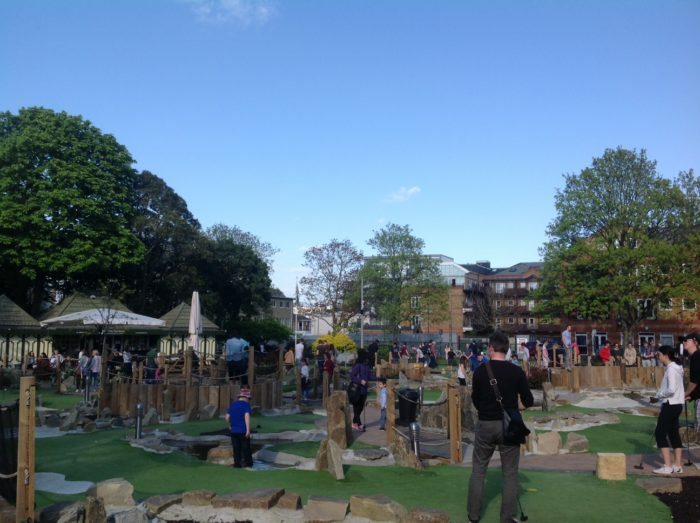 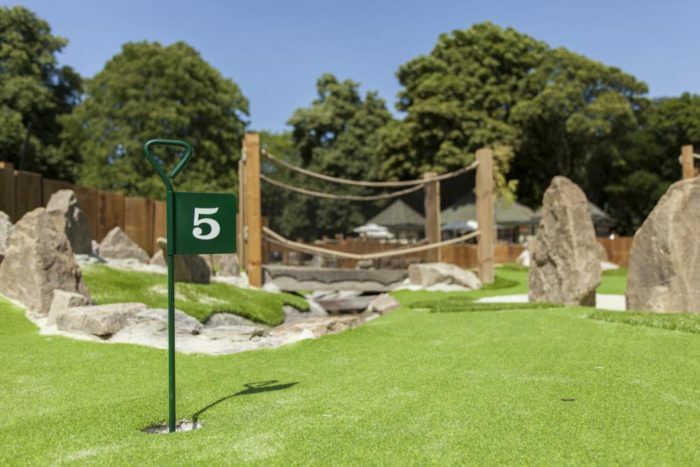 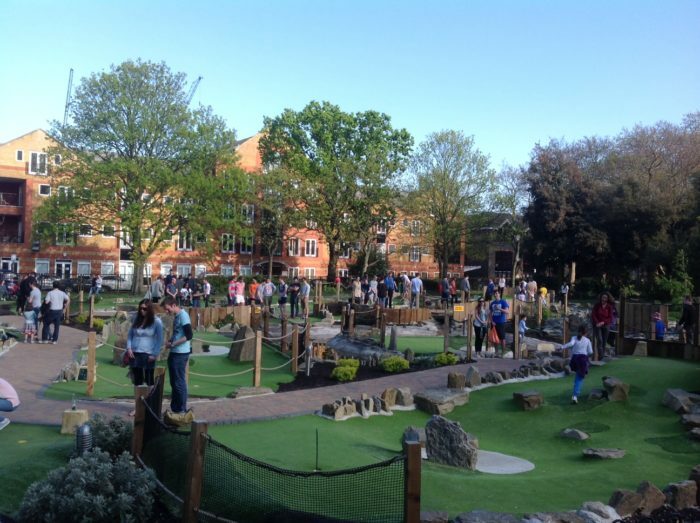 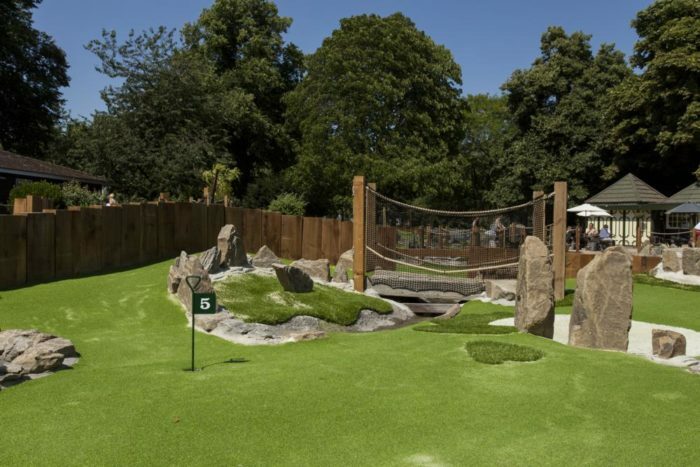 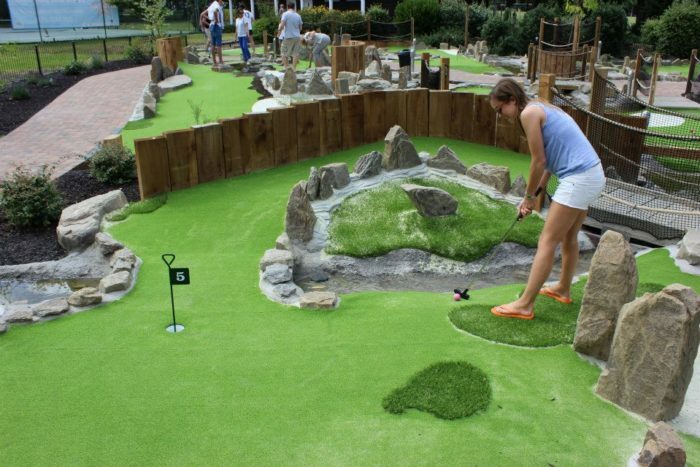 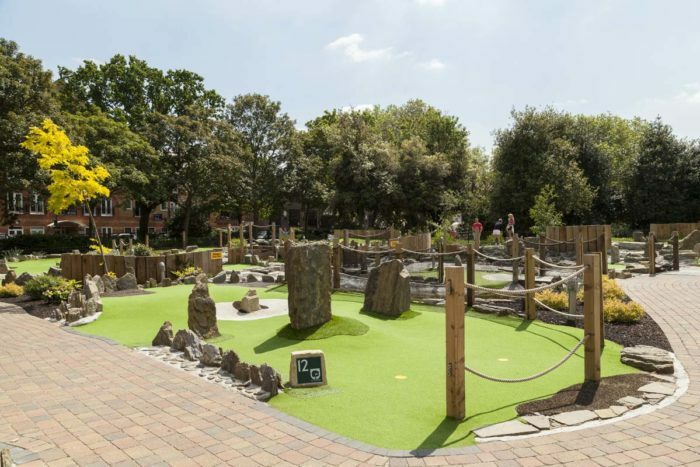 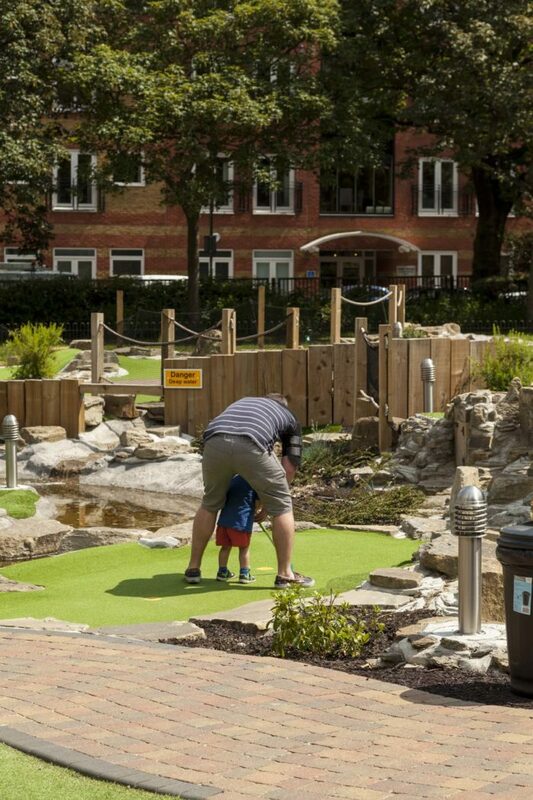 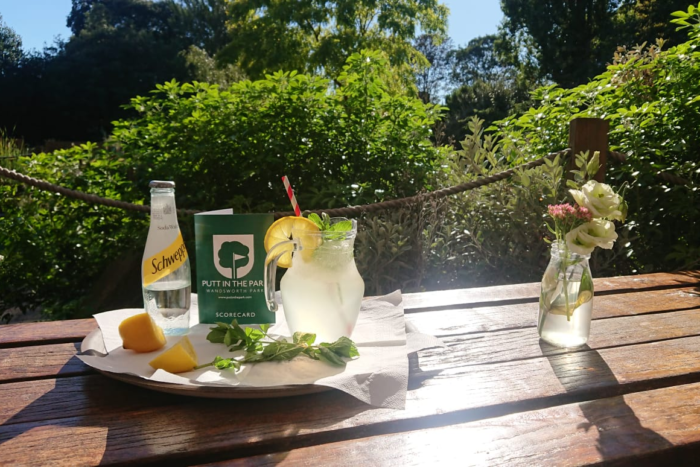 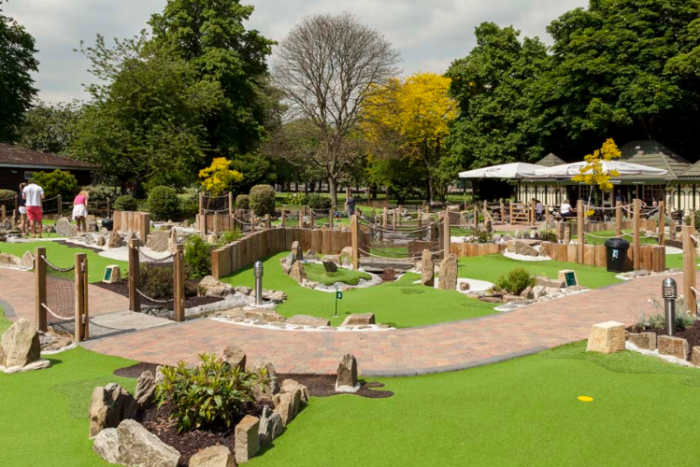 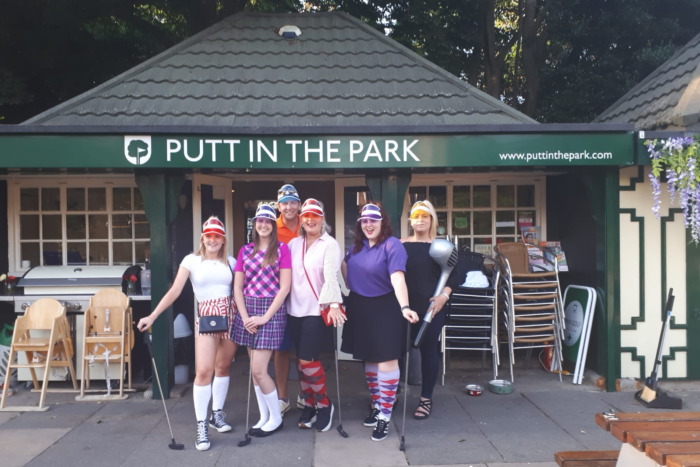 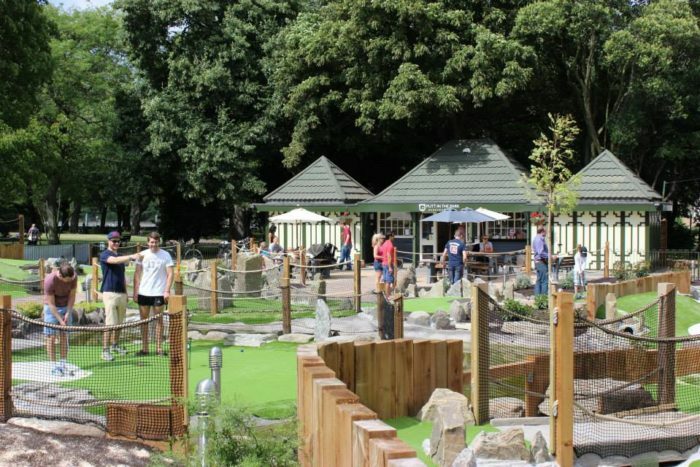 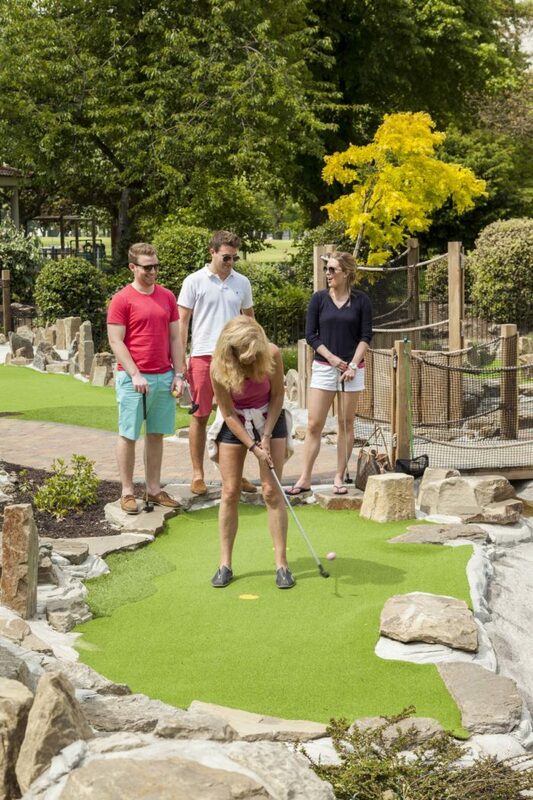 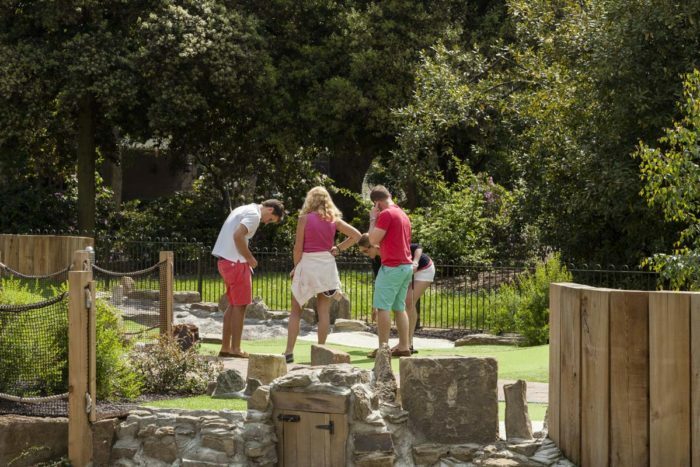 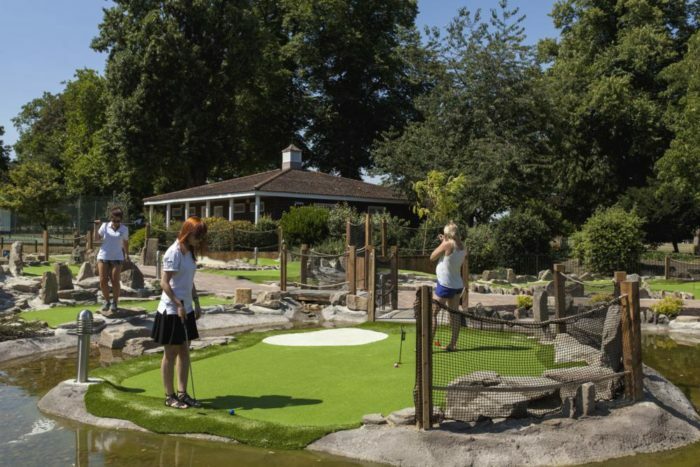 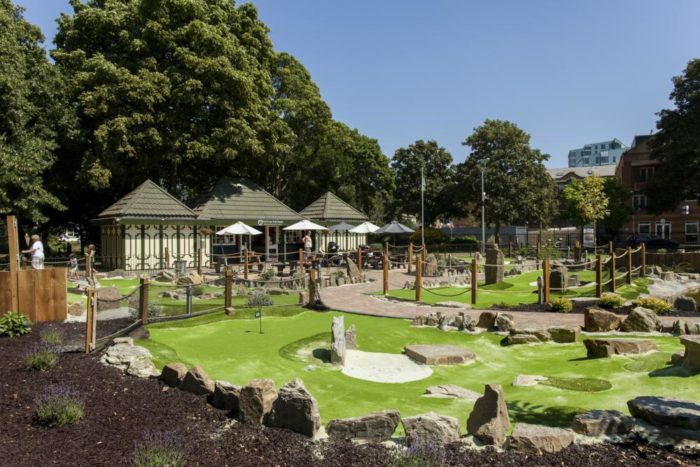 The picturesque setting makes Putt in the Park the perfect venue to meet friends, bring the family down to play a round or just enjoy a drink and soak up the atmosphere. 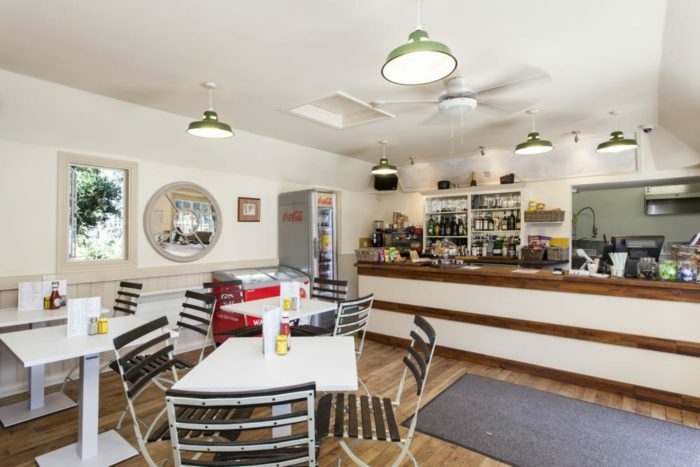 It is a well placed venue to meet up in the evening after a hard day at the office and is also ideal for a special occasions, birthday parties, and celebrations. 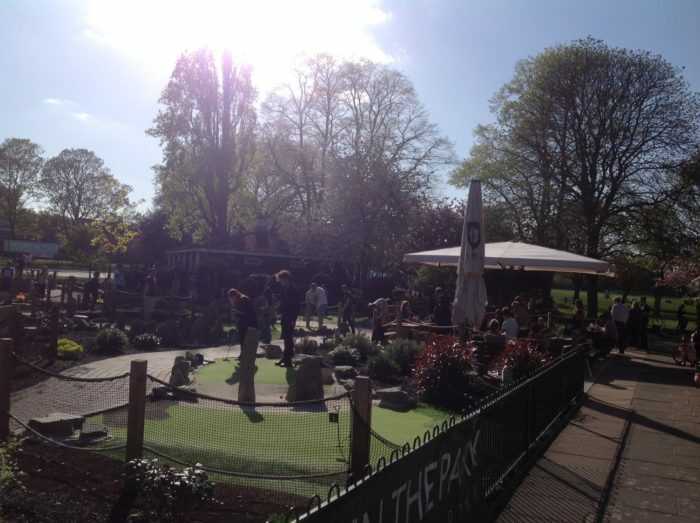 Note: 360 tour may not function properly on some mobile & tablet devices. 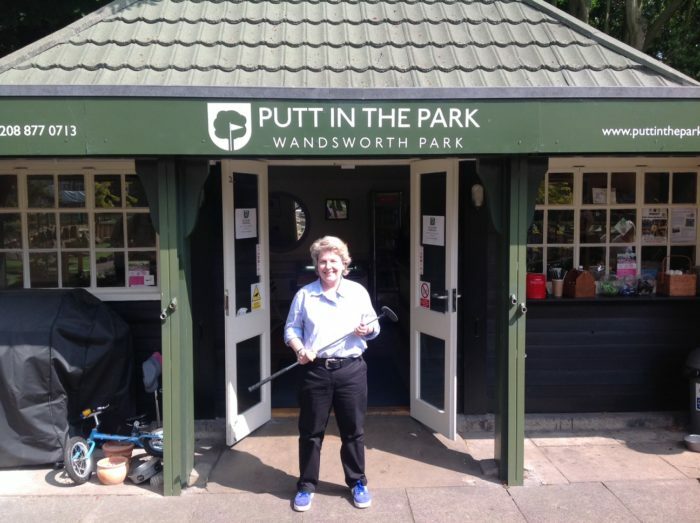 Nearest parking is at Northfields or Putney Bridge Road.